If you were concerned about the status of that proposed Jimi Hendrix biopic, you might want to brace yourself for some bad news -- the project has been called off. While last year it was announced that Legendary Pictures was aiming to put together a film portraying the life of the influential guitarist, the Hendrix estate has officially made it known that such a movie will not be experienced by anybody, at least not at the moment. 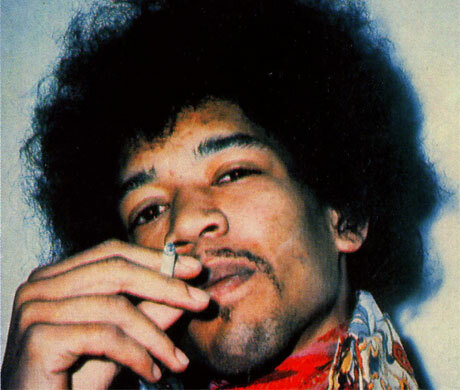 The Playlist reports that Experience Hendrix has given the thumbs down to the project, which was to be directed by Paul Greengrass (United 93, The Bourne Ultimatum). Apparently, the problem was that Legendary Pictures head Thomas Tull didn't get approval from Hendrix's family before he sought out a screenplay, director and lead actor. "Legendary proceeded without our permission, direction or involvement. It didn't 'fall apart,' it never was. When we do the Jimi Hendrix feature film bio, we will be involved and in control from the beginning," said Jimi's sister and Experience Hendrix CEO Janie Hendrix in a statement. While this particular telling of Hendrix's story won't see the light of day, Janie's comments suggest something could come up eventually, so long as the family is willing to give it the green light.